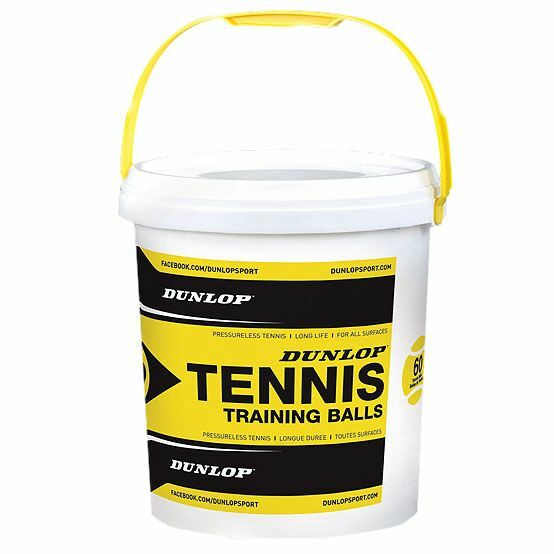 The Dunlop training tennis balls are suitable both for coaching and teaching and have a rubber construction. These non-pressurised, consistent and durable balls are created for hard-wearing and hard hitting and come in a yellow colour. They are supplied in a handy bucket of 60 balls (5 dozens). for submitting product review about Dunlop Training Tennis Balls (60 Ball Bucket).